Layers. 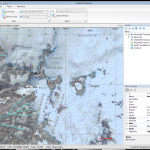 GIS Software has them, most mapping software doesn’t. 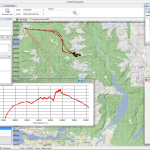 A simple feature, and one that is at the core of a Geographic Information System’s power. In fact, most people probably aren’t even aware that this feature exists. Consider a paper map; if you want to draw on the map you have no choice but to mark it up with indelible ink. 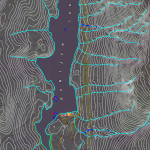 A GIS layer is like a sheet of mylar plastic, you can draw on it without affecting the data on the underlying map. You can remove the mylar when you no longer need it, or you can lay another sheet over it if you need something new. If you need to add another sheet, you can draw data from a different point of view. Each mylar sheet represents some new group of information. It could be a different day, a different trip, or something else. When you no longer need it you can just remove the sheet, and file it away. 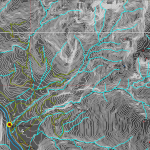 In a GIS, each map feature type will often be on it’s own layer. Examples are things such as roads, creeks and rivers, land cover, contours, etc. — each represents data with different aspects. Roads can have a type (large, medium or small). Creeks can have a flow rate. Contours have an elevation. The data associated with each type of data is part of the layer. 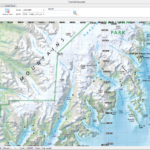 TrueNorth Geospatial implements the layer as a central feature of the software, and takes it a step further — entire sources of data can be included as a layer. The base map? A layer. The geographic grid? A layer. 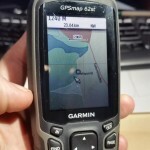 Your GPS tracks? Also a layer. In fact, everything you see, and some of the things you don’t see in the map window are implemented as layers. 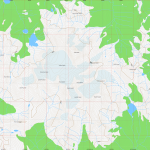 The grid layer, for example, just overlays the geographic grid on the map. 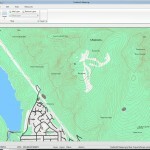 If you want to use Latitude and Longitude, or UTM, you configure your grid to display it. If you want to use both, just add two layers, one for each grid type, and you’re done. If you only want the grid to appear when the map is printed, that’ easily accomplished by changing the layer’s visibility. The GeoRSS layer is another example. GeoRSS is a format which, like RSS, derives it’s power from being updated frequently. 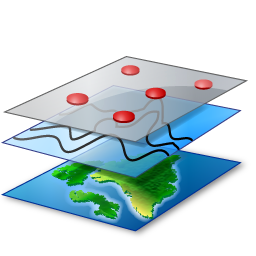 Examples of GeoRSS sources include NOAA’s Pacific Tsunami Warning Center, or the USGS Earthquake Feeds. Adding the GeoRSS layer causes the map to become a live document that updates itself to reflect the latest earthquake and tsunami warning status. You can turn layers on or off, change their visibility, delete them, add them, save then as separate files, or copy and paste them to another map. You can change the level of transparency in a layer so that other data can show through.